The Battle of Narungombe was fought between the German Empire and Portugal during the East African Campaign of World War I. The battle honour "Narungombe" has been granted to the Ghana Regiment, King's African Rifles and the South African 7th and 8th Infantry Regiment. Groups interested in freeing Mozambique from Portuguese colonial rule and making it an independent nation emerged in the early 1900s, shortly after Portugal had defeated the last of the native chieftaincies and established effective control over the territory. The Kionga Triangle (German: Kionga-Dreieck, Portuguese: Triângulo de Quionga) was a small area of land on the south-east coast of Africa. It lay between the colonies of German East Africa, the major part of present-day Tanzania, and Portuguese Mozambique, the present-day country of Mozambique. The area covered just 1,000 square kilometres (390 sq mi), and the settlement of Kionga — now spelled Quionga — had a population of 4,000 people in 1910. The triangle was a German possession from 1894 to 1916, after which it became a possession of Portugal. Mozambique is a multilingual country. A number of Bantu languages are indigenous to Mozambique. Portuguese, inherited from the colonial period (see: Portuguese Mozambique), is the official language, and Mozambique is a full member of the Community of Portuguese Language Countries. Ethnologue lists 43 languages spoken in the country. According to INE, the National Institute of Statistics of Mozambique, Portuguese is the most widely spoken language in Mozambique: According to the 2007 national population and housing census, 50.4% of the national population aged 5 and older (80.8% of people living in urban areas and 36.3% in rural areas) are fluent in the language. Other widely spoken languages include Swahili, Makhuwa, Sena, Ndau, and Tswa-Ronga (Tsonga). Other indigenous languages of Mozambique include Lomwe, Makonde, Chopi, Chuwabu, Ronga, Kimwani, Zulu, and Tswa. The language of the deaf community is Mozambican Sign Language.Small communities of Arabs, Chinese, and Indians (primarily the Gujarati language) speak their own languages (Indians from Portuguese India speak any of the Portuguese Creoles of their origin) aside from Portuguese as their second language. Article 9 of Mozambique's constitution provides for the recognition of national languages and that such languages be considered "cultural and educational heritage" and that the state "shall promote their development and increasing use as languages that convey our identity". 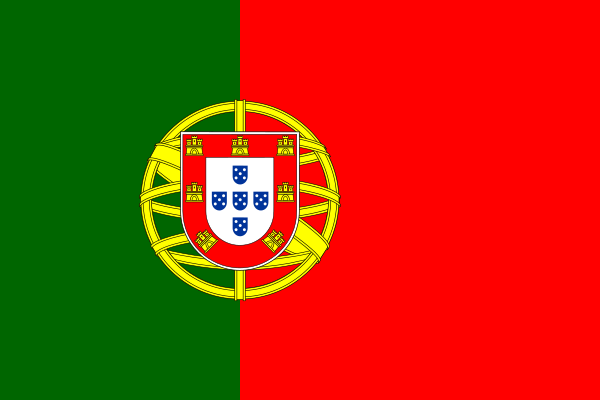 Portuguese is deemed the country's official language by article 10. Mozambican Portuguese (Portuguese: português moçambicano) refers to the varieties of Portuguese spoken in Mozambique. Portuguese is the official language of the country. Several variables factor into the emergence of Mozambican Portuguese. Mozambique shares the linguistic norm used in the other Portuguese-speaking African countries and Portugal. Mozambican Portuguese also enriches the Portuguese language with new words and expressions. The escudo was the currency of Mozambique from 1914 until 1980. It was subdivided into 100 centavos. The real (plural: réis) was the currency of Portuguese Mozambique until 1914. It was equivalent to and circulated alongside the Portuguese real. The Niassa Company or Nyassa Chartered Company (Portuguese: Companhia do Niassa) was a royal company in the Portuguese colony of Mozambique, then known as Portuguese East Africa, that had the concession of the lands that include the present provinces of Cabo Delgado and Niassa between 1891 and 1929. This is a survey of the postage stamps and postal history of Mozambique. This is a survey of the postage stamps and postal history of the Nyassa Company. The Nyassa Company, in Portuguese the Companhia do Nyassa, and sometimes spelled "Niassa", was a royal company in the Portuguese colony of Mozambique, then known as Portuguese East Africa, that had the concession of the lands that include the present provinces of Cabo Delgado and Niassa between 1891 and 1929. During that time it issued a total of 141 postage stamps, although only a small percentage of these were ever issued for actual postal usage in Nyassa, the remainder being created to take advantage of a buoyant philatelic market for the region's stamps in London. An annular solar eclipse occurred on March 17, 1923. A solar eclipse occurs when the Moon passes between Earth and the Sun, thereby totally or partly obscuring the image of the Sun for a viewer on Earth. An annular solar eclipse occurs when the Moon's apparent diameter is smaller than the Sun's, blocking most of the Sun's light and causing the Sun to look like an annulus (ring). An annular eclipse appears as a partial eclipse over a region of the Earth thousands of kilometres wide. Annularity was visible from Chile, Argentina, Falkland Islands including capital Stanley, Gough Island in Tristan da Cunha, South West Africa (today's Namibia), Bechuanaland Protectorate (today's Botswana, Southern Rhodesia (today's Zimbabwe) including capital Salisbury, Portuguese Mozambique (today's Mozambique), Nyasaland (today's Malawi), French Madagascar (the part now belonging to Madagascar, and the Islands of Juan de Nova and Tromelin). A total solar eclipse occurred on May 29, 1919. With the duration of totality at maximum eclipse of 6 minutes 51 seconds, it was the longest solar eclipse since May 27, 1416. A longer total solar eclipse would later occur on June 8, 1937.It was visible throughout most of South America and Africa as a partial eclipse. Totality occurred through a narrow path across southeastern Peru, northern Chile, central Bolivia and Brazil after sunrise, across the Atlantic Ocean and into south central Africa, covering southern Liberia, southern French West Africa (the part now belonging to Ivory Coast), southwestern tip of British Gold Coast (now Ghana), Príncipe Island in Portuguese São Tomé and Príncipe, southern Spanish Guinea (now Equatorial Guinea), French Equatorial Africa (the parts now belonging to Gabon and R. Congo, including Libreville), Belgian Congo (now DR Congo), northeastern Northern Rhodesia (now Zambia), northern tip of Nyasaland (now Malawi), German East Africa (now belonging to Tanzania) and northeastern Portuguese Mozambique (now Mozambique), ending near sunset in eastern Africa. An annular solar eclipse occurred on September 1, 1951. A solar eclipse occurs when the Moon passes between Earth and the Sun, thereby totally or partly obscuring the image of the Sun for a viewer on Earth. An annular solar eclipse occurs when the Moon's apparent diameter is smaller than the Sun's, blocking most of the Sun's light and causing the Sun to look like an annulus (ring). An annular eclipse appears as a partial eclipse over a region of the Earth thousands of kilometres wide. Annularity was visible from the United States, Spanish Sahara (today's West Sahara), French West Africa (the parts now belonging to Mauritania, Mali, Burkina Faso and Ivory Coast), British Gold Coast (today's Ghana), southern tip of French Equatorial Africa (the part now belonging to R. Congo), Belgian Congo (today's DR Congo), Northern Rhodesia (today's Zambia), Portuguese Mozambique (today's Mozambique), Nyasaland (today's Malawi), and French Madagascar (today's Madagascar).